I have a confession. I’m not a fan of those frosted Christmas cookies that somehow became the center of so many Christmas kitchen festivities. Don’t get me wrong, I did line up at grandma’s kitchen counter in front of the bowls full of brightly colored frosting all those years. If I am honest, though, even back then I preferred frosting the cookie to actually eating it. Rewinding all the way to over a year ago when I was pretty hooked on these buckwheat butter cookies. I like the faint sweetness of butter cookies, rather than that knock-you-over-the-head sweet. That way, it can be dessert or a side to your morning coffee, and that crunchy, melt-in-your-mouth texture keeps me grabbing for another. 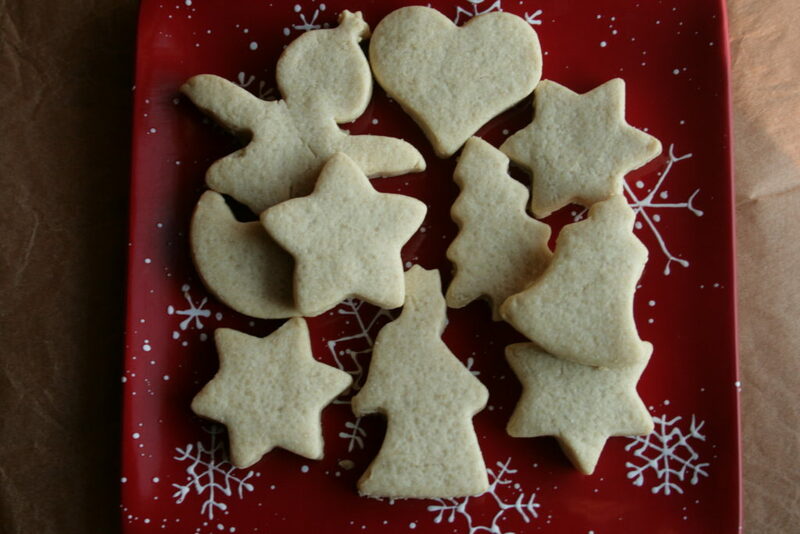 So I reasoned, what if the Christmas cut-outs were in butter cookie form, rather than sugar cookie form? The results were scooped up so fast that I didn’t even get to take a picture. So we made another batch. 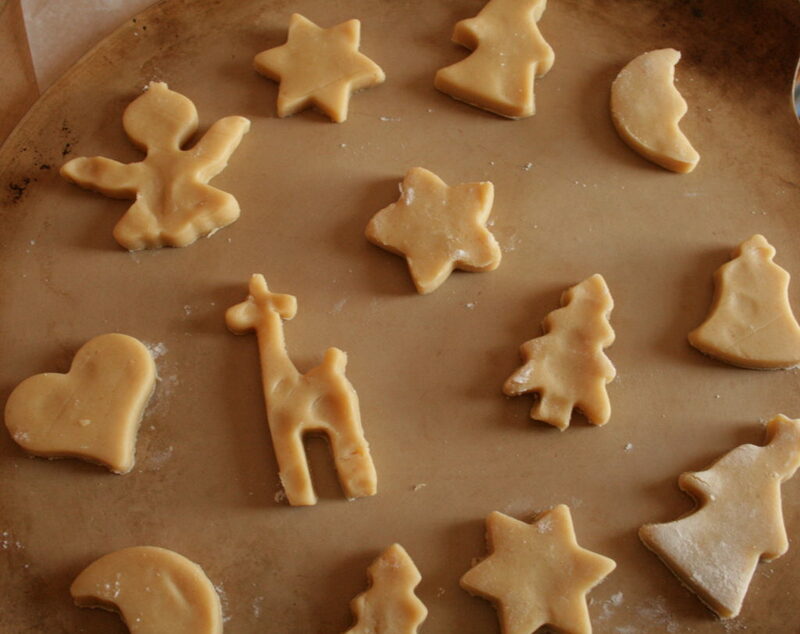 Butter cookies don’t rise and expand, so I love that this dough really holds the shape of the cut-outs. 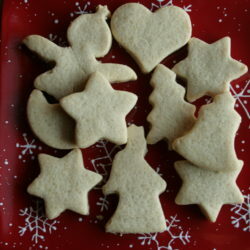 These will be in our Christmas cookie tins forevermore! Beat together butter and sugar until mixed. Mix in the egg and almond extract. In a separate bowl, mix all the dry ingredients: both flours, and the salt. Gradually add the dry mix to the wet mix until incorporated into a solid ball of dough. Refrigerate the dough in an airtight container for one hour. 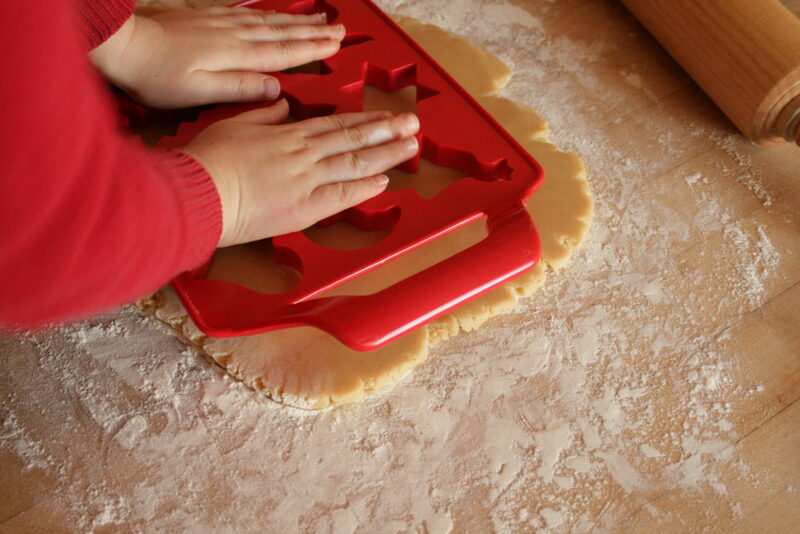 If you’re cutting these out to different shapes, roll the dough out to a 1/4 inch thick slab. For a more simple cookie, roll the dough into a log, and cut into 1/4 inch thick slices. *Almond pastries are my favorite. If they’re not your thing, just sub the almond extract for vanilla extract.